Congratulations to "Jonetta A." the winner in Lesley Ann's giveaway. Thank you to all who participated! The San Juan Islands: Mysterious Harbors, Dangerous Shores, and Tides of Love. When I was in the thick of writing my latest book, Tide Will Tell, I had a conversation with a friend about why the process of writing this particular book seemed so laden with obstacles. “You must be writing about some personal issues,” she suggested. On the drive home from her house, I thought about our conversation. Would my friend someday read the book with my comments in mind, thinking that I had been a teenage runaway like Kate, my main character? Or that I had worked for a clinic that turned out to be a front for a scam? She’d be wrong on both counts. Neither have I witnessed a murder nor gotten engaged to a millionaire. No, the real life experiences I drew on in writing this book were much more subtle, coming out more as plot fibers than plotlines. As a writer, it’s easier to appreciate the tough times we all have to go through because everything is fodder for the fiction. Whatever we stash in our emotional memories can come out in unexpected ways. Yes, incorporating it into our fiction can be cathartic. And Heaven knows, it’s cheaper than therapy. Admit it. Do you ever wonder if the author of a book you’re reading has experienced some of the events they put their characters through? 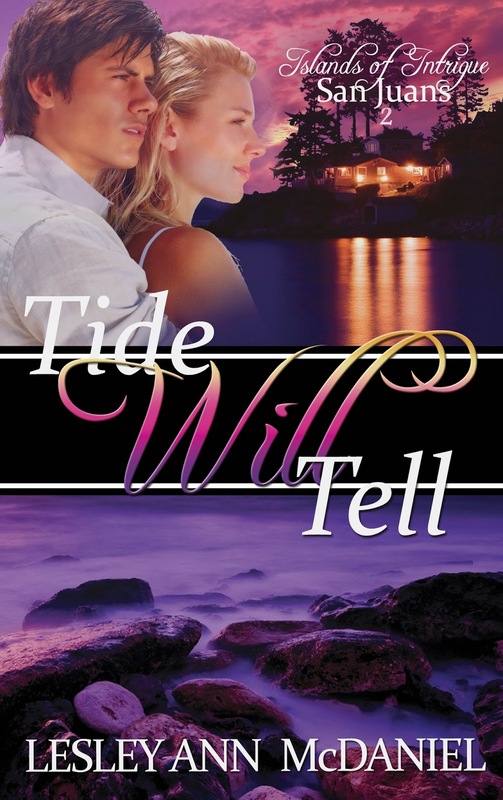 Leave a comment for a chance to win a copy of Tide Will Tell by Lesley Ann McDaniel. I like the sound of this book... I believe that sometimes authors add in bits of things they know or experienced into their books... whatever adds and works for their characters' stories... making them come to life in the books. Thanks for sharing! Part of the fun of being a writer is taking things that have happened to us and embellishing them. In my experience, the particular incidents that started out real evolve into something very different. That's probably a good thing! I hope so! Crafting a mystery is really fun. It's like putting together a puzzle but not really knowing what it will look like when it's all done. I do. I always wonder if the author have experience some of that adventure when he/she writes a story. Some of the story have to have come from the author's life experience to make sense in the story. That's true, even if the author uses the emotional side of a personal experience in an imaginative way. I always imagine that at the very least the author has experienced the same emotions, if not the same/similar situation. I think that's what makes a good writer, or a good actor for that matter. The situations can be invented, but readers will really relate to the emotions the characters feel. I often wonder if authors have experienced some of the situations in their books or if they know someone who has. It is so interesting to me to read interviews where authors tell about their writing process. I love that too. Sometimes it's surprising to read about what people have been through. Then to read how they weave those experiences into fiction is fascinating.